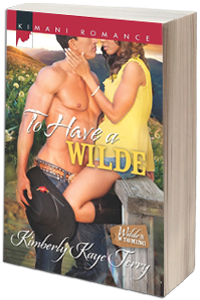 Sheriff Cord Canyon is probably the only one in the small Wyoming town of Lander who is happy to be alone and working on Valentine’s Day. But his quiet night is ruined by a speeder in a souped-up hot rod, and Cord is shocked to discover that the driver is his almost ex-wife, Brick McNeil—the woman who left him without explanation the day after they got married eight years before. But this time, Cord’s holding all the cards, and he vows that Brick isn’t going to get away that easily again. He’ll do whatever it takes—arrest her, seduce her, love her—to get the answers he needs to finally get her out from under his skin…or catch her for good. 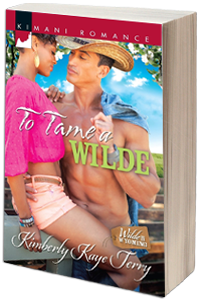 Kimberly is excited to announce the sell of an exciting new paranormal, shape-shifter series to St. Martins Press! Stay tuned for more details!